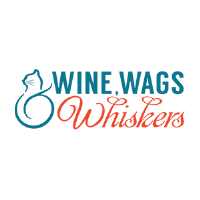 Network, mingle, host special guests or reward your staff with an evening of wine tastings sure to please the palate at the 11th Annual Wine, Wags & Whiskers. The evening features dozens of wines for tasting, a silent auction, delicious hors d’oeuvres, tempting sweets, and equally tempting adoptable animals who’ll steal your heart. Plus, thanks to our friends at Crown Liquors, you'll be able to purchase your favorite wines that evening at a discount!